An early start for a new week of volunteering. Doing my favourite thing, which we shall now call non native species removal for the purposes of the CV, at least I felt a bit more purpose and was able to see some progress being made. Updated, we were told that we would be beach bound in Nelson next week. A lunchtime phone call from the Melbourne office prompted a decision in the east/west debate. Wanting to stay and have some banter camping, and already halfway to Adelaide, I decided kangaroo island would be a good plan for week 4. After replenishing the food stock for the house, we returned home and I made fajita's en masse. 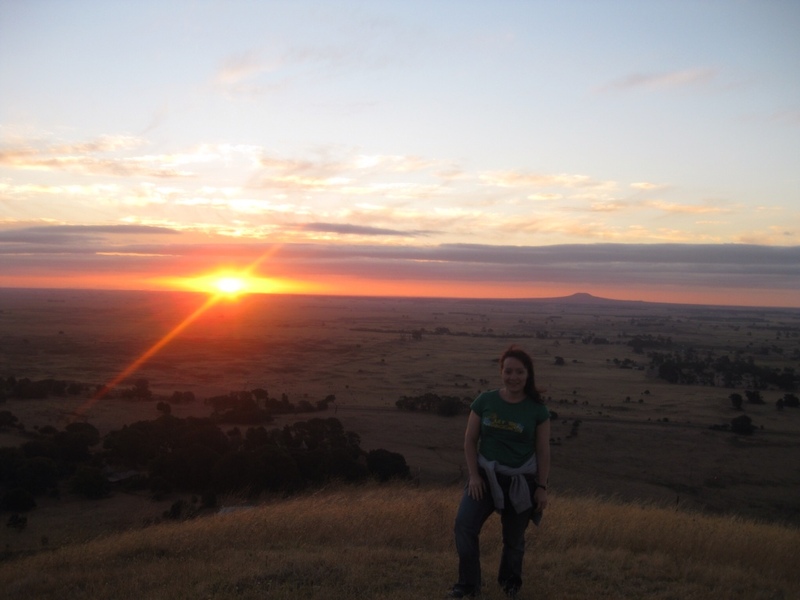 A suggestion from our team leader to head to Mt Rouse to see the sunset was acted upon and was pretty impressive. Peaceful, and with some kangaroos and wallabies for company, it was what I had imagined my volunteering evenings would hold. Here's hoping for a good week.